David de Gea has been the constant figure between the sticks for United this term and he should feature against the Reds, barring any late injury hampering him. In the defence, Ashley Young has already been confirmed as a starter by Mourinho and the veteran could slot into the left-back position with Diogo Dalot on the opposite end. Meanwhile, Eric Bailly and Phil Jones are likely to feature in the central defensive department with Chris Smalling, Victor Lindelof and Marcos Rojo set to be on the sidelines for the Sunday game. Onto the midfield, Paul Pogba should drop to the bench after producing a no-show against Valencia in midweek and this may witness Nemanja Matic and Ander Herrera feature in the centre of the park. Further forward, Mourinho has no options to rotate with Anthony Martial and Alexis Sanchez in the treatment room and this should witness the Portuguese go with the same formation from the previous game. 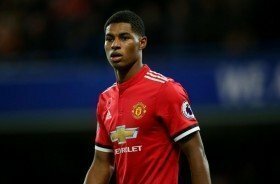 In this case, Juan Mata and Marcus Rashford should slot into the wider roles with Jesse Lingard in the number 10 role while Romelu Lukaku should lead the line amid the restricted options at the manager's disposal.